An onyx is a semiprecious stone that some believe to be a powerful protector against harm. 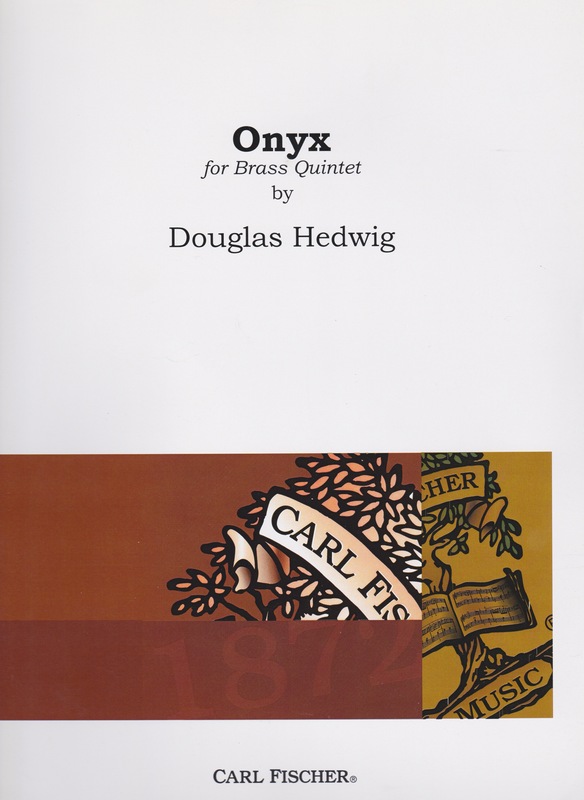 The spirit of this quintet brings forth the strength and authority of the onyx through its energetic trumpet lines, driving ostinato rhythm, and charging bass line. Written in ABA form, the piece opens in 12/8 meter with a short fanfare that establishes the vigorous style of the A material. After a brief fermata, the B section showcases the quintet’s ability to completely change style to piu legato. This section ends with a flowing horn solo. The last half of the piece is spent developing the A material. It includes alternating trumpet commentary in chromatic eighth notes, a repeated rhythm in the trombone and horn parts that maintains the forward momentum of the piece, and a pseudo dies irae bass line in the tuba part, which is actually an augmentation of the chromatic trumpet melody. The activity comes to an exciting culmination with all parts playing the same fortissimo figure together in the last measure. This piece is well suited for an advanced high school quintet or an average undergraduate quintet. The individual parts are not extremely challenging in range or technical difficulty, aside from the chromatic material in the trumpet melody and the syncopation in the low brass ostinato. Onyx will serve perfectly as a program opener or encore piece.